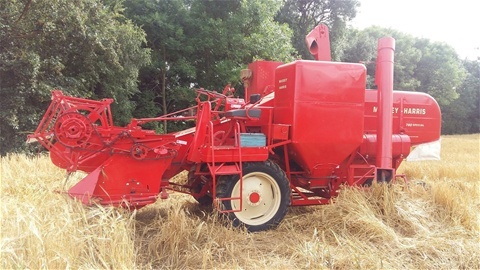 The combine looking almost complete! 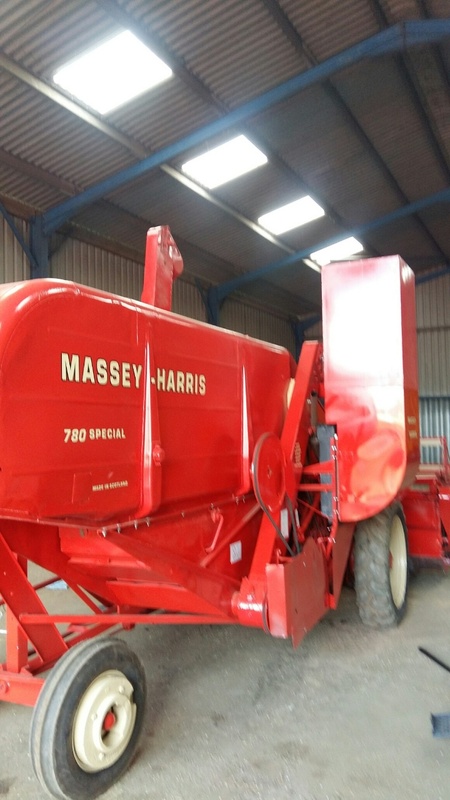 With its new decals applied, although this model is a 1958 model it's a Massey Harris serial numbered machine. 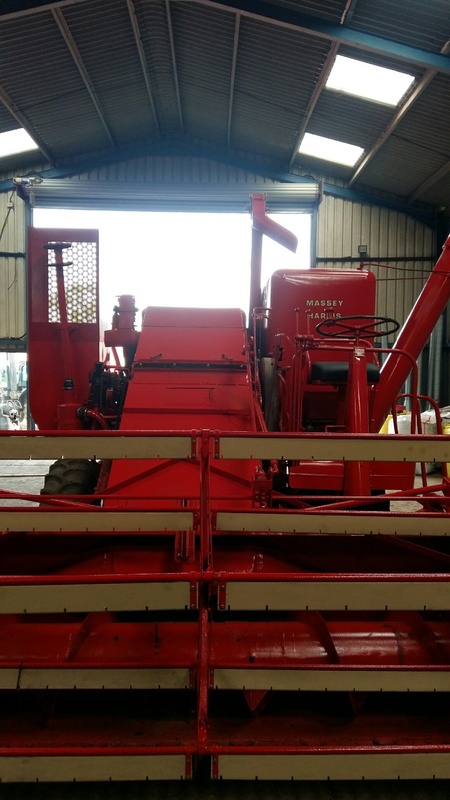 The 780 sits imposingly in Andy's workshop, her new life ahead of her. With its new reel bats fitted and table refitted to combine its all systems go.What an absolute cracker! 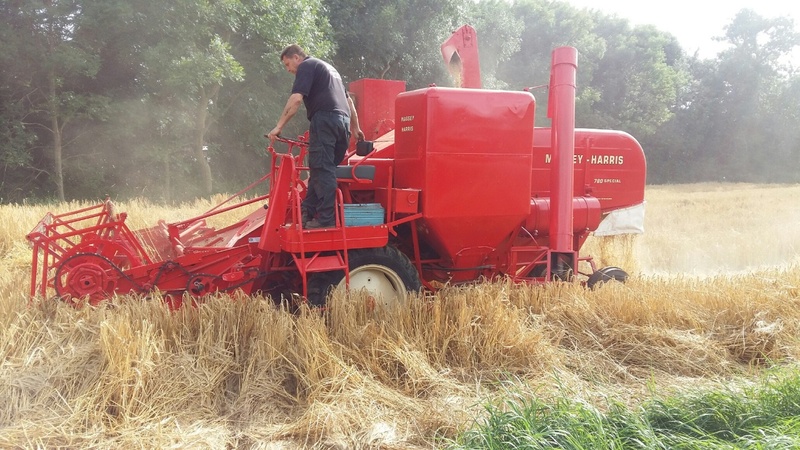 August 2016 and Andy's 1958 780 returns to the harvest fields after an exhaustive restoration over nearly a year. 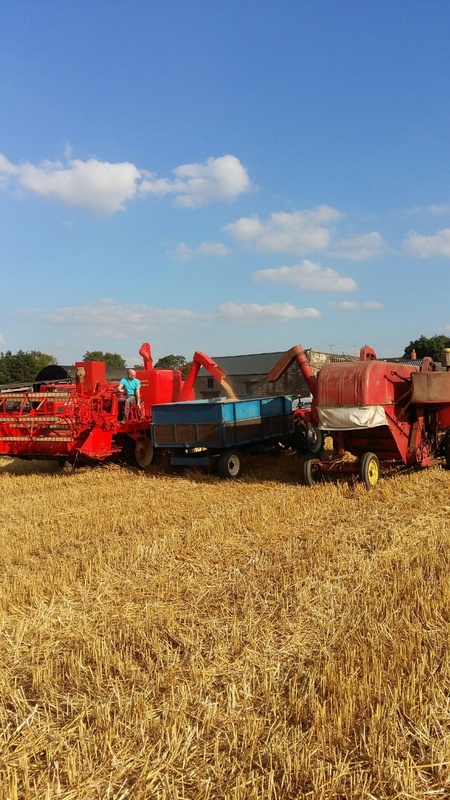 This combine last seen action over 20 years ago and its a beautiful sight to see her doing the job she was built for. 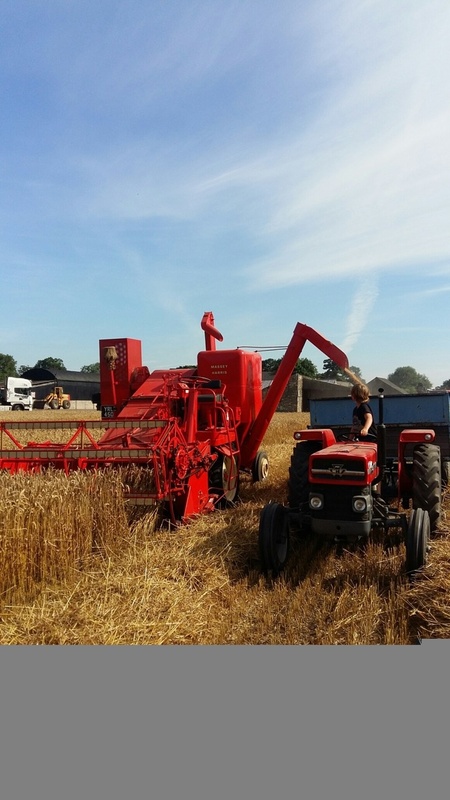 With a few minor adjustments, and a careful handling with her first few trips around the field it's time to unload that first tank of grain, Andy commented that the sample of grain was very good and proves that all was well with the threshing and separation of the crop. Andy nursing his restoration back into work. 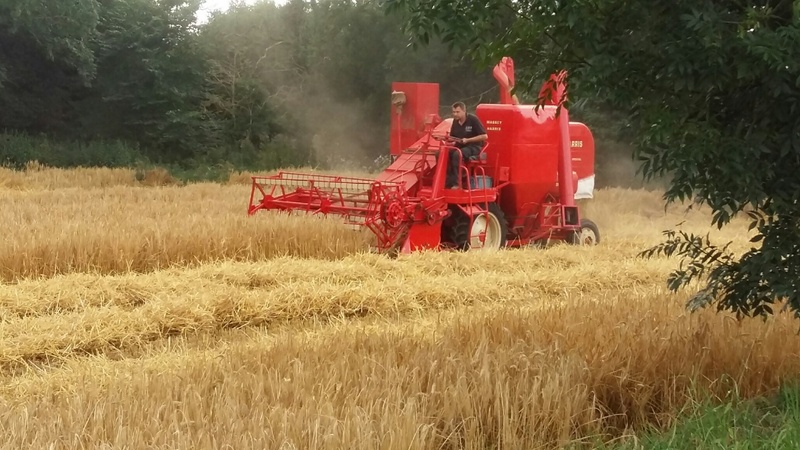 What a classic shot this is a brochure cover almost! 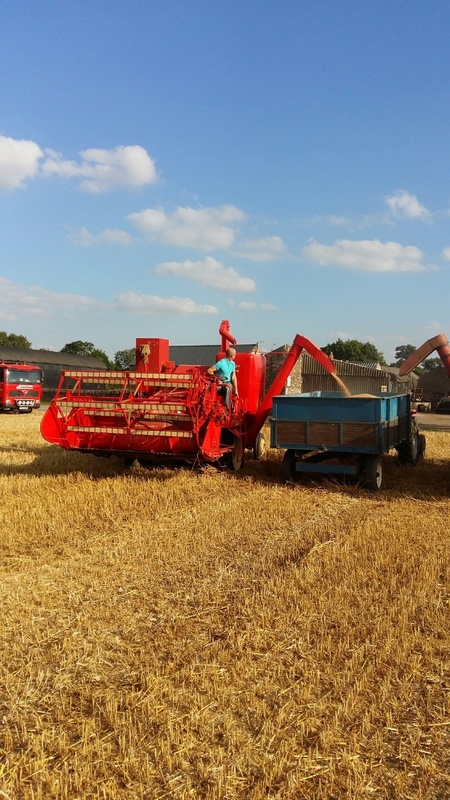 Andy's 780 and 788 working together at his home in Nottingham. Can I say a big thankyou to Andy who has worked tirelessly on his combine this year and despite his busy working life he has found the time to share his story with yellowswirl and kept me in touch with every aspect of the restoration. 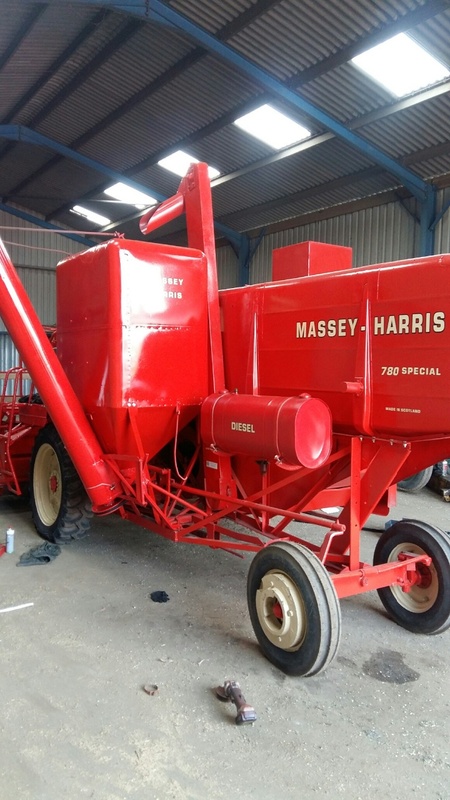 Combine restoration is very costly and time consuming and no wonder not that common, but thanks to individuals like Andy Blagg our harvesting heritage will be available to admire of just how far harvesting technology has took us!.